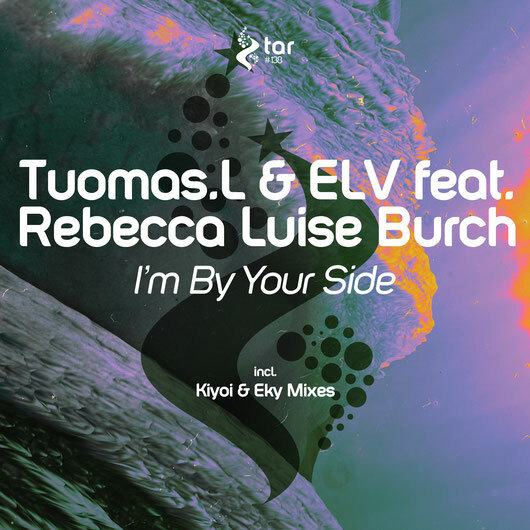 Tuomas.L and ELV return to give us a collaboration beyond your wildest dreams. Teaming up with Rebecca Louise Burch, this one here is absolutely stellar as it takes you on an unforgettable and addicting journey. 'I'm By Your Side' is an incredibly energising and thunderous tune that needs t be heard. Kiyoi & Eky have taken reins for the remix here for 'I'm By Your Side' which will set your heart on fire, an emotional daydream and concoction of sound rapidly intensifying is exactly what you need and it's right in the palm of your hands. They’ve also given us a Dub version of the track that'll have you falling in love with the instrumentals even more.